Alejo Media today announced that DC media veteran Jim Allen has joined the Springfield, VA-based, full-service video production company as a partner, effective March 11, 2013. Allen has assumed the title of Chief Operating Officer and will be primarily responsible for corporate imaging and branding, sales and marketing, and business development. 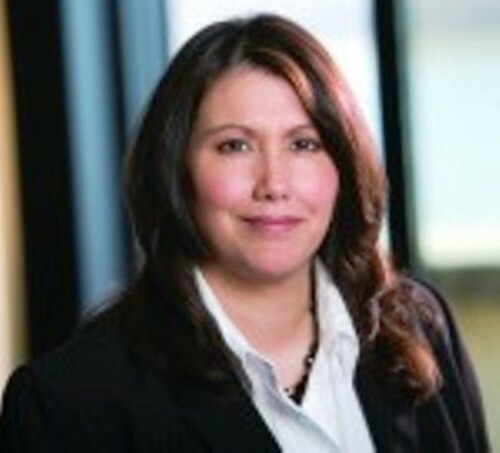 Alejo Media Founder and Chief Executive Officer Anna Davalos will continue to oversee all aspects of production, personnel and administration for the Corporation. “Alejo Media is very excited to join forces with Jim,” said Davalos. “His knowledge of media matters, business development and his wide range of talents will have an immediate impact at Alejo Media and make for a very positive imprint on the future of our company,” Davalos continued. “I believe the timing is just right for this partnership and I could not be more excited about this opportunity or more committed to the continued growth and development of this dynamic enterprise,” said Allen. “Anna is an artist, a master video technician and a great story teller. She and the Alejo team of producers, photographers, editors, and its partnering agencies, have produced top quality work for the likes of the Philippe Cousteau’s Global Echo Foundation (a philanthropic partner of the Clinton Global Initiative), the American Diabetes Association and more—the groundwork is well laid.” Allen continued. Before partnering with Davalos at Alejo Media, Allen served as Director, News and Media Services, at the American Institute of Physics, where he conceptualized and led his team in the development of the www.insidescience.org multi-media news platform for research sciences and to promote STEM education—which includes Inside Science TV. Alejo Media soon will be announcing the time and Capitol Hill location of their Annual Spring Reception. About Alejo Media: Founded by Anna Davalos, in 2011, Alejo Media is emerging as one of Washington, DC’s most artistic and innovative video production and post-production media companies. It is comprised of a team of seasoned professionals dedicated to giving personal attention to our clients’ needs under the mantra “Your Vision Made Real,” who have many years experience crafting messaging strategies and are expert at the effective delivery of those messages through the constantly-evolving world of electronic media, to include video-for-mobile applications, using state-of-the-art video production modalities and infrastructure. Alejo works with broadcast, corporate, professional, political action committees, advertising, non-profit and government clients. During an eight-year stint as a freelance producer, she was intricately involved in the writing, producing, editing and other elements of a wide variety of important television and cable network news productions—which include an extensive range of stories with historical import, such as Papal visits, presidential inaugurals, natural disasters coverage and the Olympics. In February 2006, Anna took her storytelling skills to an online platform—joining the Associated Press Online Video Network. There, she and her team developed, wrote and edited stories for distribution to hundreds of websites across the country. About Jim Allen: Chief Operating Officer of Alejo Media. Previously, as Director of News and Media Services at the American Institute of Physics, he led the creation of the InsideScience.org news platform, which includes Inside Science TV. He also previously served as Media Director, Energy NOW! and Clean Skies TV and as Special Reports Editor/Media Relations Director at The Hill newspaper. 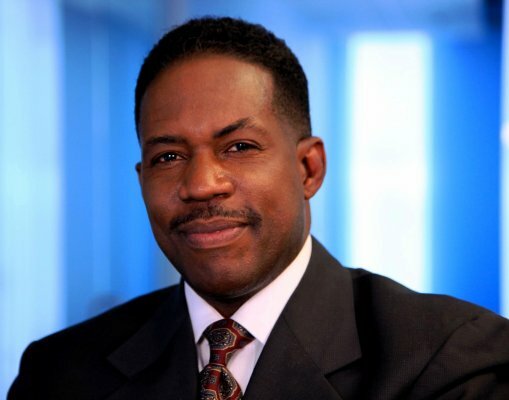 Jim has served in various executive, business development and/or programming roles for a number of media concerns including CBS Radio/Television, Radio One Inc. and the Los Angeles Times. Since 1995, he has been a contributor to the Reporters Notebook news roundtable program on NBC 4 TV, DC. He earned a music scholarship to Delaware State University, a Bachelor of Arts in English/Television Production at Virginia State University and, from 2003-2007, attended Concord University School of Law. His commendations include the Washington, DC Teachers’ Union Media Relations Award, at Radio One Inc. and shared an American Academy of Nursing National Media Award, as a director at Campbell and Company Communications. Jim also chairs a development task force for the faith-based, non-profit House of Help/City of Hope, founded and led by Bishop Dr. Shirley Holloway, which has provided substance abuse, mental health and continuing education programs and transitional housing for tens of thousands of homeless (and battered) women, families and men (including ex-offenders) at its shelter and treatment facilities in Washington, DC and Prince George’s and Charles Counties, MD. Contact: jim@alejomedia.com. Fellow Bloggers, thanks for your prayers, patience, well wishes and support–now back to our regularly scheduled programming (smile)! This entry was posted in 2nd Amendment, Bible, Energy and Environment, Gun Control, Gun Rights, Healthcare, Jesus, Media, NRA, Politics, Religion, Second Amendment, Spirituality and tagged broadcast, marketing, media, new media, non-profit, online. Bookmark the permalink. Congratulations! This is wonderful news and I am very happy for you. It appears to be a perfect fit for your many talents and skills. I wish you the best on this new phase of your career. I missed you! Thanks so much for checking In and for the well wishes! Sorry I haven’t been around this week. ( just posted why ) I will catch up on your blog this weekend. Again, I am so very happy for your new position! It really made me smile. I have definitely missed you! Congratulations Mr. Allen ! Best of luck in your new endeavors. Very, very kind of you Mr. Talley! Please call me Jim! Congratulations Jim! Exciting days ahead I am sure. Just catching the news… Congrats! More grace, more favor!